As a Digital Marketing Agency, we have used the following social media strategies for our clients and thanks to proper audience insights, we were able to increase their audience and improve social engagement levels. So, which social media platforms are you using and how are you using them to your advantage? Do you follow some sort of formula where you post at certain intervals during the month, or do you post 3 times a day every day on a number of platforms? Do you even know if your efforts are driving any form of engagement, sale, enquiry or lead? 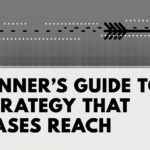 How do I create social engagement for my clients? The answer lies in smart strategising. Here are 8 simple strategies and how they can be executed. Facebook retargeting is just as important as your other marketing strategies. 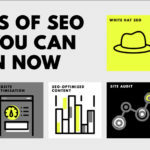 You can add pixels on your website, build targeted Facebook audiences, track every click, conversion or behaviour pattern; the more data you gather, the easier it will be to retarget. Technology has given us the opportunity to build incredible digital strategies and to reach those people you never would’ve if you went the traditional route. You can use pixel based retargeting which shows retargeting ads to a user that visited your website. 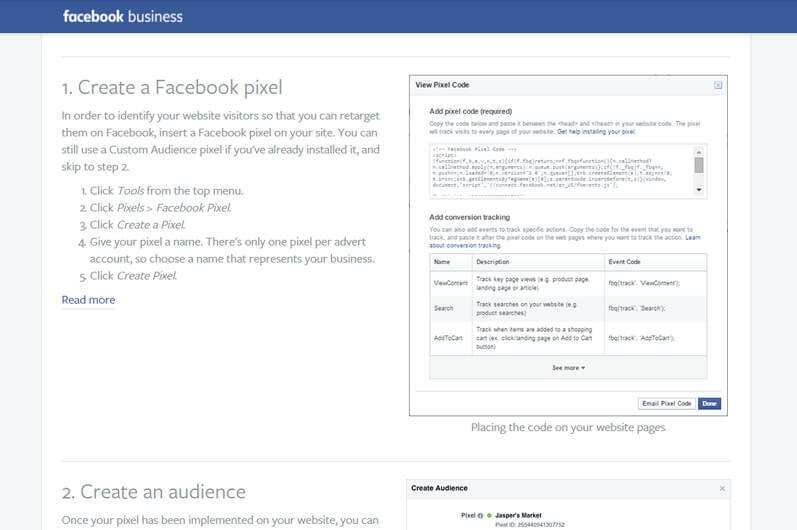 As you can see below, Facebook Business gives you a step-by- step guide on how to create Facebook pixels and custom audiences. Or you can use list based retargeting, which is great if you already have a user’s contact information. All you have to do is upload a list of email addresses to Facebook, and it will identify those users and show the retargeting ads to them. And it’s also easy to set up. 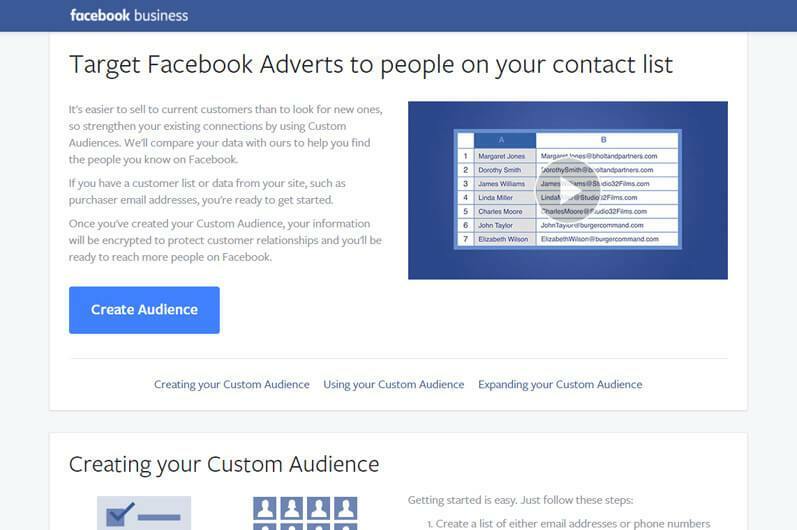 Just like pixels, Facebook Business can help you create your own custom audiences with the information you already have. Competitions are always a good go-to strategy. It’s the easiest to pull off, and it could potentially result in high levels of engagement and brand awareness. And remember when I say competition, I don’t just mean ‘buy one get one free’; there are endless ideas and new ways to run a competition. You could do a giveaway, a caption contest, fill in the blank contest, a photo competition, a Q&A – get the most questions right and win, crowd sourcing where you ask the audience to help you etc. Once again, Facebook gives you all the tools to create your own campaign. 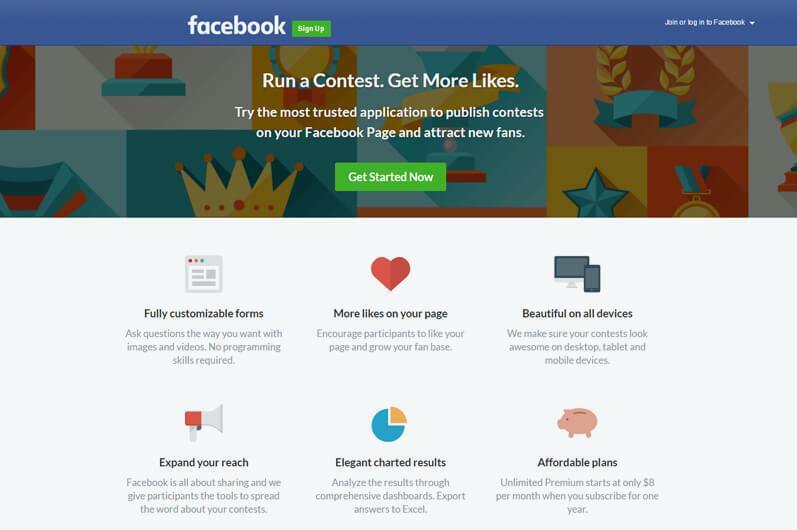 Here are also some great Facebook competition examples that’s been done right. 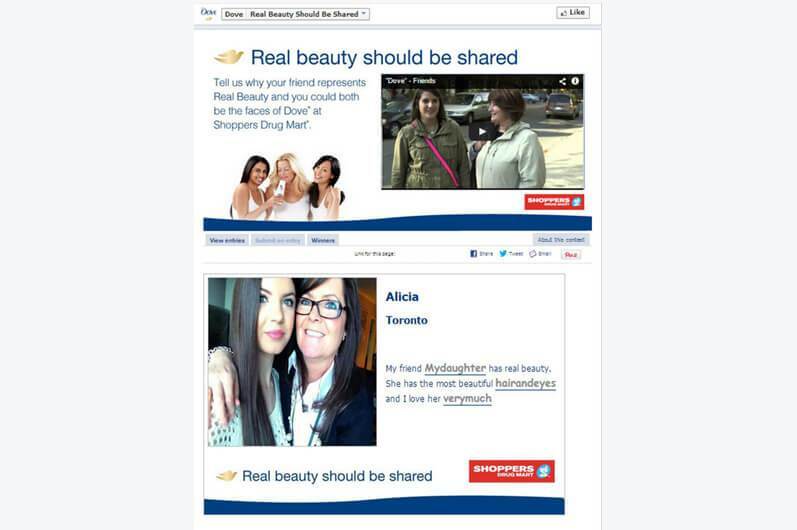 Dove’s ‘real beauty should be shared’ competition taps into the emotions and confidence of women of all ages. I keep coming back to my digital trends, but this is a really good advertising tactic you should consider. 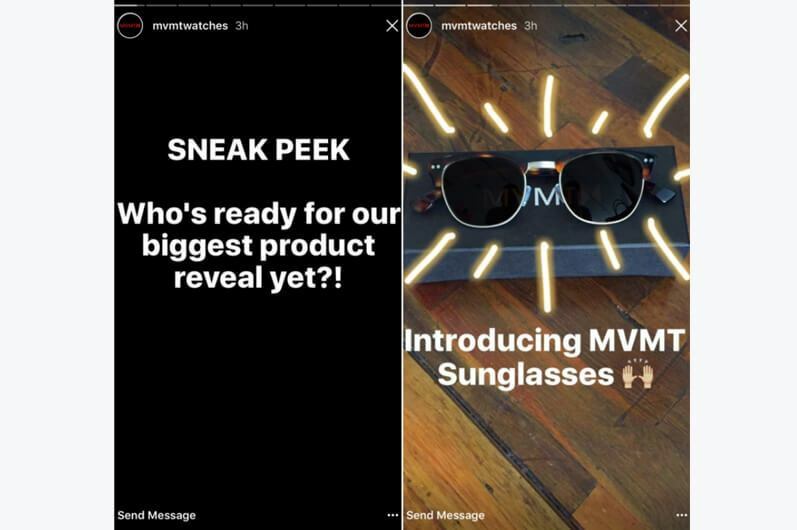 If for example, you are a retailer selling the latest hip sunglasses, you can partner with a company that manufactures tailored, craft sunglass bags or cases. For example, ‘Buy a pair of our new sunglasses and get a free case from Company Y’. 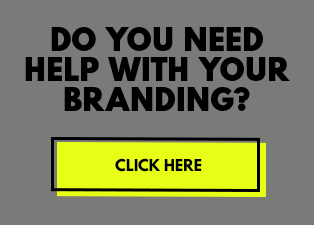 By cross promoting and partnering with a brand related to your product, you are reaching not just your target audience, but also an entire new audience. Instagram works particularly well for this social strategy, as it’s quite a visual platform. If you are not sure about partnering with another company, you can also partner with an influencer. If you are leaning more towards using an influencer, there are many routes you can go. 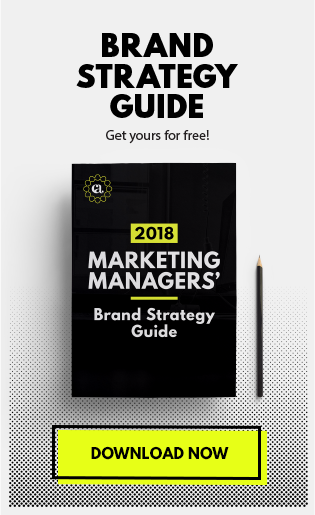 The key is to use an influencer that represents your exact target market, because their followers would most likely be in the same ‘audience bracket’. You don’t have to use just one influencer, you can use multiple if you want to reach an even wider audience. Axe did it brilliantly. They chose 30 male social media stars, and asked them to showcase their hairstyling routines (with the axe hair gel of course) in a video. It was a huge hit. You can read more about the axe Instagram campaign here. Other influencer ideas could include hosting an influencer takeover on your Instagram account. I see a lot of travel companies, fashion or lifestyle brands doing it. Or you can tag influencers in your photos or videos, giving them the option to share it or not. 5. Promote discounts with Instagram or Snapchat’s story feature. 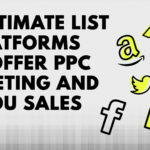 Social commerce may not be the norm at the moment, but that should not stop you from advertising on the platform. 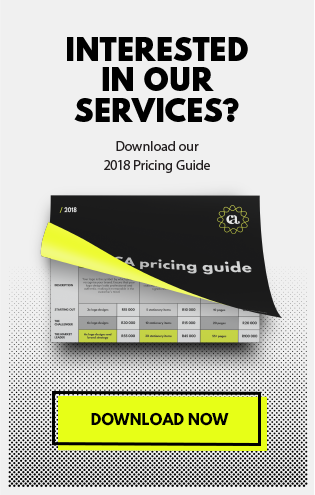 And with the whole disappearing content feature becoming a major digital trend in 2017, it’s only fitting that we tap into that. In the last year alone, WhatsApp, Facebook and Instagram all adopted the disappearing content trend. 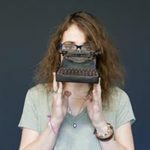 If you’re looking to create a sense of urgency, or pique the interest of your market, run a discount story feature. No doubt, people will watch your story, as it’s always visible at the top of your screen. If they’re avid buyers, they will most likely react if you run a 24-hour flash sale with a unique link that only they can access if they watch the story. It’s a very personalised way of ‘selling’ and it reaches a very targeted, loyal audience. 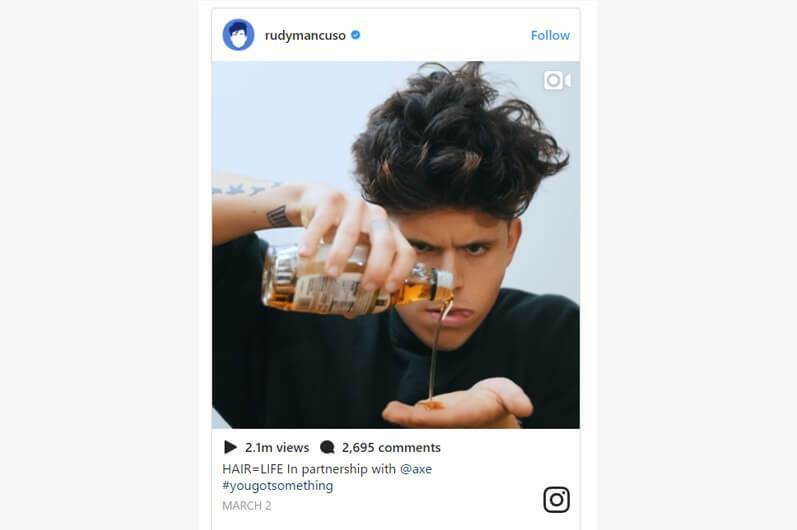 Have a look at how these brands have been using Instagram stories as an advertising strategy. I don’t think I have to say too much about video, as it’s already a major digital trend in 2017. The opportunities are endless. There are so many verticals and different ways in which you can use social video to your advantage. And now, most social platforms offer video as a marketing tactic. If you’re thinking of using YouTube then there are various types of videos you can create. You could go for the simple ‘get started’ video, instructional, tutorial or demonstration videos, webinars, Interviews, Q&A’s, ‘how to’ videos, events, real-time (live) videos or even behind the scenes footage. And once you’ve posted these videos, cross share it on all your other social platforms. Another idea you can consider, is to embed your videos in your content, or link from content to your videos. Sponsored video ads are also a powerful marketing tool, and has great value. When creating your video ads remember that short, concise, relevant and engaging videos work well. And always have a clear call to action at the end. You want to break through all the clutter on social media. On Instagram for example, you can show a hyper-lapse/ gif video demonstrating your product or service. You could go for a more personalised strategy by choosing your most loyal customers and sending them a video addressing them specifically. Or if you see a follower promoting your brand, product or service, send them a short thank you video. When you start to engage with your followers more, they could have more good things to say about your brand on social media for all their followers to see. LinkedIn, known as a professional business network, is a great way to add credibility and trust to your business. The great thing about a LinkedIn page is that you are exposing your business to a global market and your employees are automatic brand ambassadors. You can create professional, relevant content and expose it to a targeted audience of your choosing. 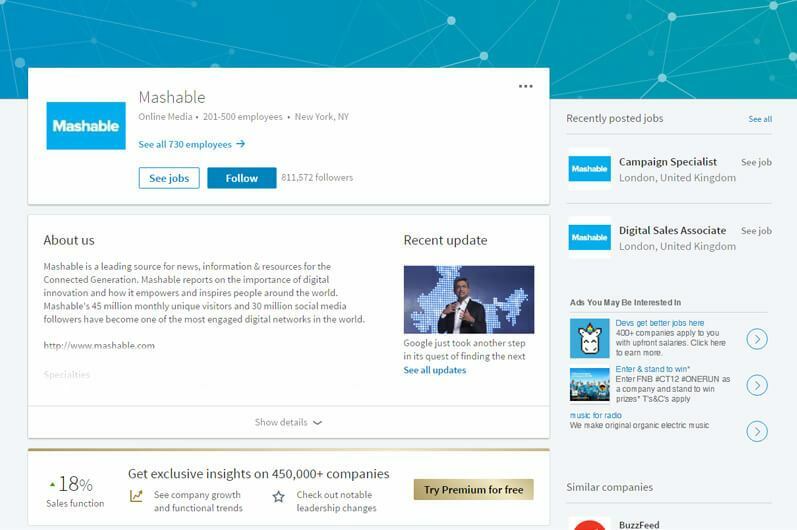 You can post job ads and interact with other brands in your industry, or send your audience personalised emails with your latest thought leadership content pieces. It may not be an actual social media strategy you implement, but it definitely forms part of your overarching social strategy. If you’re looking for a few ideas on how to create a good LinkedIn company page, browse through these best practices. Snapchat is great. It’s been ahead of its time since the start and it has led to multiple social media platforms adopting their exact same features. But they still actively release new ways in which Snapchat can be used. My two favourites are Geo filters and Snapchat Spectacles. Geo filters are great because it showcases the when and where in your photos. If you’re hosting an event, you can buy a Geo filter specifically for that event and ask guests to snap away with that filter. You can either design your own, or choose from a set of existing filters. You simply add the time, set a geo-fence for your filter and submit it for approval by Snapchat. Usually it gets reviewed within one business day, but to be on the safe side, submit it a few days or week before your event. Here are a few examples of how cities have adopted this trend. Okay, let’s talk about Spectacles. You wear it and record what you’re doing, which then gets saved automatically in your snapchat memories. This footage can then be used to share with your followers. This is a great idea for an influencer campaign as well. Imagine you are launching a new type of energy drink that’s supposed to make you do the impossible. 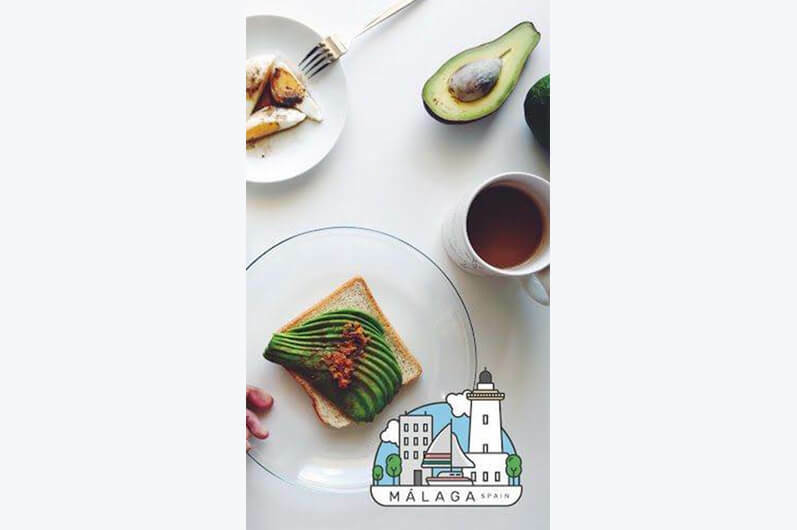 You can take 10 influencers who represent your typical target audience and unleash them in the city or a destination of your choice. It’s a combination of user generated content and an influencer strategy. Another thing to consider is adding your Snap-code on all your other social media platforms. This way, users will have the option to follow you. 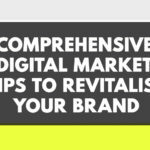 In summary, there is an immense amount of opportunity for brands to optimise their social media platforms and strategies. With the amazing targeting abilities, you can reach any audience you want. So, are you ready to show the world your social skills? Get the team going and see how your social game changes. If you enjoyed this post, feel free to sign up to our newsletter to get more posts in the future.